Change your style by wearing these incredibly stunning fashion accessories next year! I am telling you, these simple pieces will update your look in seconds! The good news is: you can wear simple clothes and still look trendy by adding one of these accessories. Yes, you may call them fashion add-ons! Anyway, there are some things you should definitely know before implementing one of these pieces in your everyday or special occasion looks. Keep it glamour and ladylike! 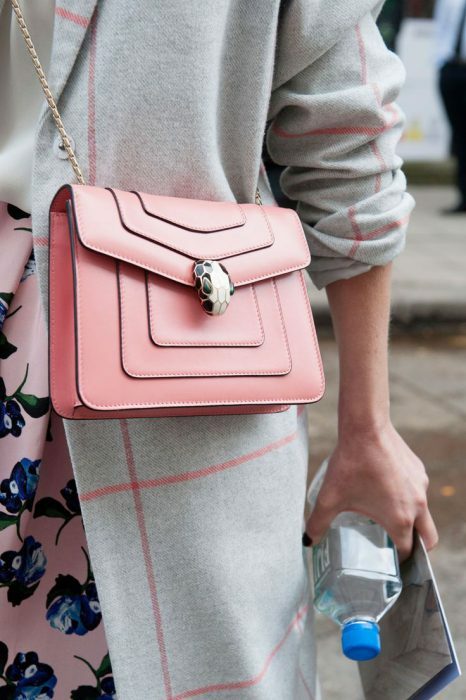 Go for this blush structured shoulder bag with a gold chain strap. It looks incredibly sweet with a cream-gray coat in windowpane print. You can also add a floral print skirt and silken white blouse to complete this day look.